If you have been speculating for long as to how Pranav Mohanlal will finally make that gala entry onto the Mollywood screen, you finally have the answer. 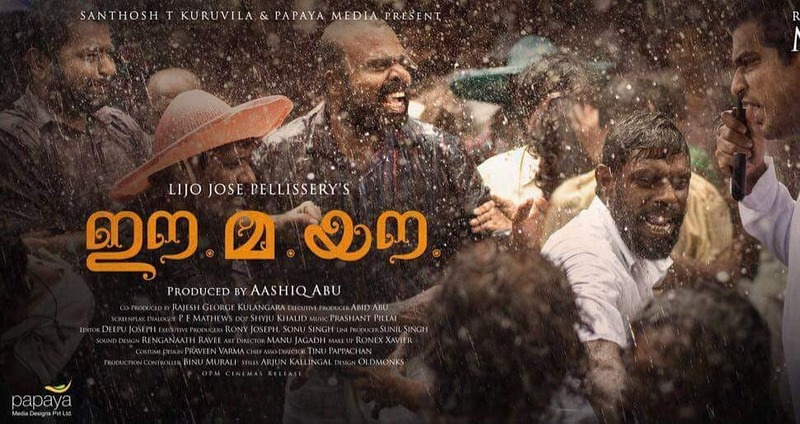 A bashful, and surprisingly guarded looking Pranav works his fingers on a guitar, while rendering an Unplugged version of ‘Mizhiyoram’ in the opening scene of Jeethu Joseph’s ‘Aadhi’, even as a group of enthused spectators watch on, wonder eyed and all in appreciation. 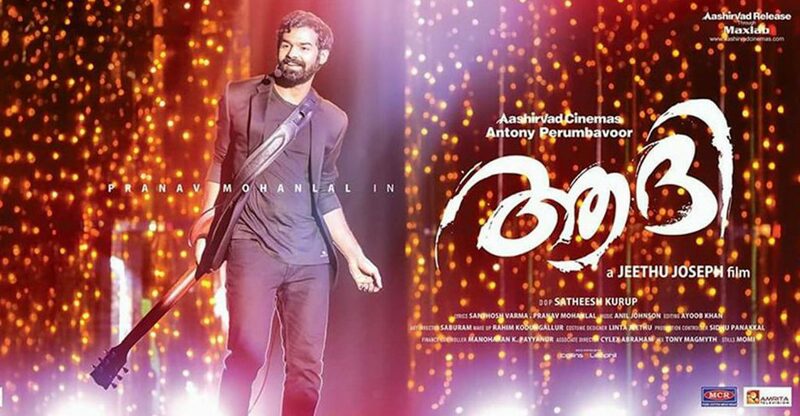 ‘Aadhi’ or rather Aditya Mohan (Pranav Mohanlal) is ‘still chasing his dream’ of becoming a music director, and ends up in Bangalore where he gets to perform before a bunch of film makers at an elite club. An untoward incident at the end of the show, sends him scampering to the terrace where he stands admiring the cityscape that keeps changing colours at night. When a former acquaintance Anjana (Aditi Ravi) joins him and strikes up a conversation, little do the two realize that their lives are about to be ripped apart. There is no denying that the premise of ‘Aadhi’ is one that has been around for ages in cinematic history; you are the sole witness to a horrific incident, you get implicated in it and you run for your dear life all the while striving to disentangle yourself from the terrible mess that you suddenly find yourself embroiled in. 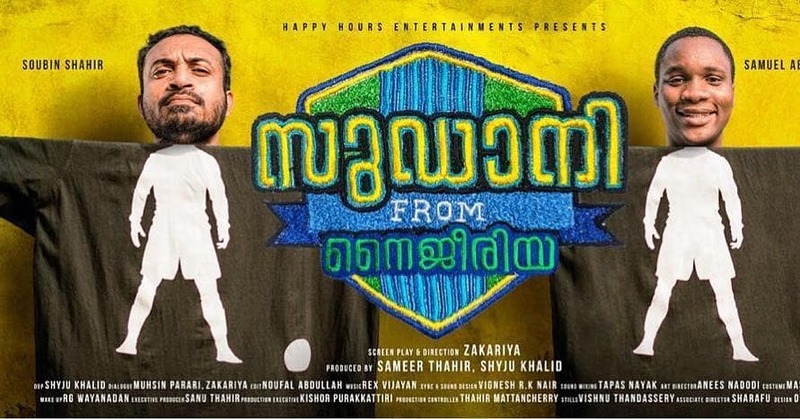 It has all been said and done, and Jeethu Joseph’s script strictly follows the prescription, in plotting and characterization. And here is where Parkour comes into the picture. Aadhi, despite his mother (Lena) often voicing her inability to comprehend the factor that attracts him to the dangerous training regime, has taken to the activity with immense interest. It comes to his aid when he is chased by Reddy’s (Jagapati Babu) henchmen across the city of Bangalore, and which leads to the conclusion that the boy is exceptionally ‘skilled’. The action choreography in ‘Aadhi’ is probably what deserves the loudest applause, and while it remains that the stage looks deliberately set for the Parkour jumps and runs even inside an office, Pranav takes to it with an earnestness that is endearing. He effortlessly jumps through loops, of which there seems to be no end, and flips, vaults and hurdles across blocks and boulders like an experienced traceur, bringing in those fan-pleaser moments in style. Neither the action nor the slick cinematography by Satheesh Kurup can however make up for the voids in the script that keeps going back to its trampled trail, once the Parkour scenes draw to a close. Very simple, rational questions that spring to mind never find an answer either, like the one as to why Aadhi never ever tries to send a mediator across to Reddy with a message, or perhaps even try to pass on a very crucial video that he has with him to the business tycoon, over an instant messaging platform. But on second thoughts, if he did, that would be the end of it all, and the Operation Pinnacle FinCorp Building that takes up the last half an hour of the film would have zilch chance of taking place. The utmost unfairness that could be meted out to Pranav Mohanlal is to expect those legendary genes of his to work their magic on his face in his very first film. This certainly doesn’t happen, and Pranav strikes you more as an agile athlete than a performer-at-ease in ‘Aadhi’, and it would require his second film and probably plenty more to judiciously assess his potentials as an actor. Siju Wilson is a youngster who deserves infinitely better, and he is remarkably good in ‘Aadhi’, as are actors as Sharafudeen, Anusree, Aditi Ravi, Jagapati Babu, Siddique, Meghanadan and Sijoy Varghese who slide into their respective roles with ease. Surprisingly it’s an ever dependable actor as Lena who gets a bit carried away with playing Aadhi’s mother, and who comes up with a shrill, screechy performance that is hard on the ears. 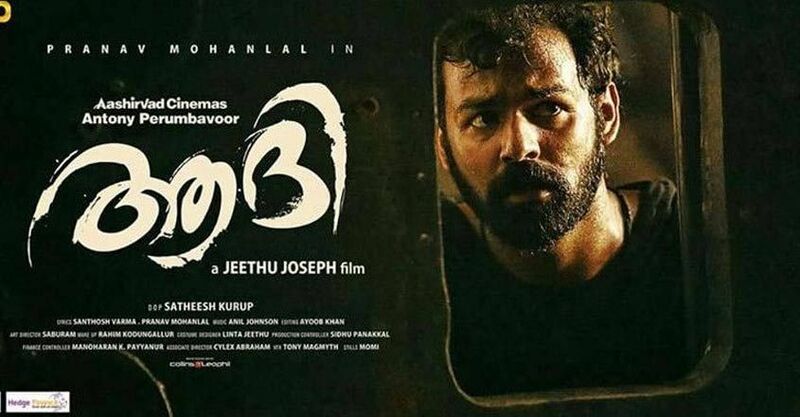 In ‘Aadhi’, Jeethu Joseph opts for a story, the shine of which has long worn off, and binds it all up with a wrap called Parkour, that he hopes would magically conceal the failings within. 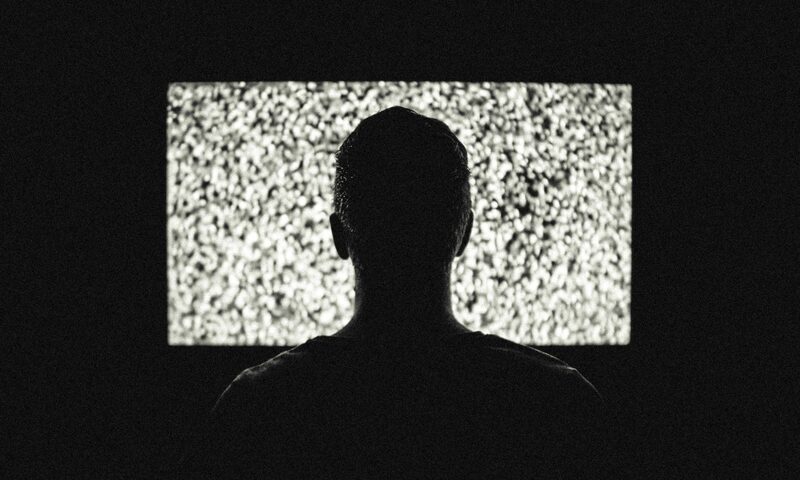 But it leaves you eventually fatigued, and ardently wishing that Jeethu had something better to offer Pranav and the viewers, both in terms of course as well as the content.